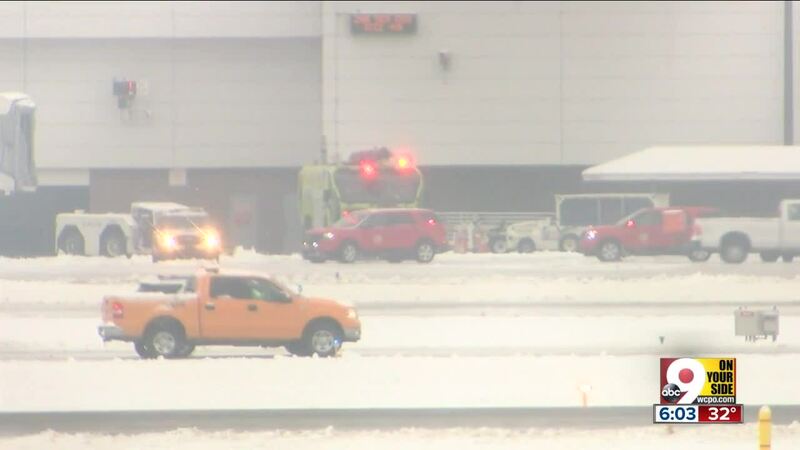 HEBRON, Ky. — An aircraft arriving in Cincinnati from Las Vegas slid off pavement Sunday morning, according to the Cincinnati/Northern Kentucky International Airport’s Twitter page. The plane was not in the process of landing, an airport spokesperson told WCPO. The plane was taxiing, or moving from one area of the airport to another. No passengers or employees were injured, according to the tweet posted at about 6:15 a.m. The airport is open and operational at this time. Airport is currently responding to aircraft that slid off pavement. No reported injuries. Airport is still open. We’ll share more here on Twitter as we receive details. All passengers were off the plane and brought back to the terminal by about 7:15 a.m., the airport reported on Twitter. According to the airport representative, the plane went off the pavement on its way to concourse B and became disabled. Of the 126 passengers on the flight, 23 had connecting flights and were able to continue their travels. 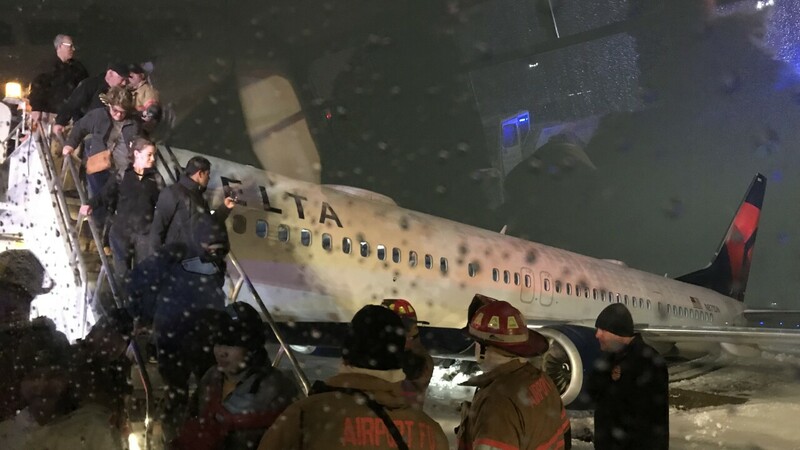 Passengers exited a Delta flight, according to a photo provided by passenger Andrew DiMuzio. The passengers were transported back to the terminal via a ground transport. Click here to check arrival and departure times.